This is a project I've wanted to do for a very long time. The physics were tough to do, but with time they've really turn out nicely. Aimed for realism, this should turn out to be a very good mod for the monster truck fans or the guys who want something different and wild to get addicted to. So far the models I have completed are the Grave Digger body, a Chevy Silverado and a Ford F250. 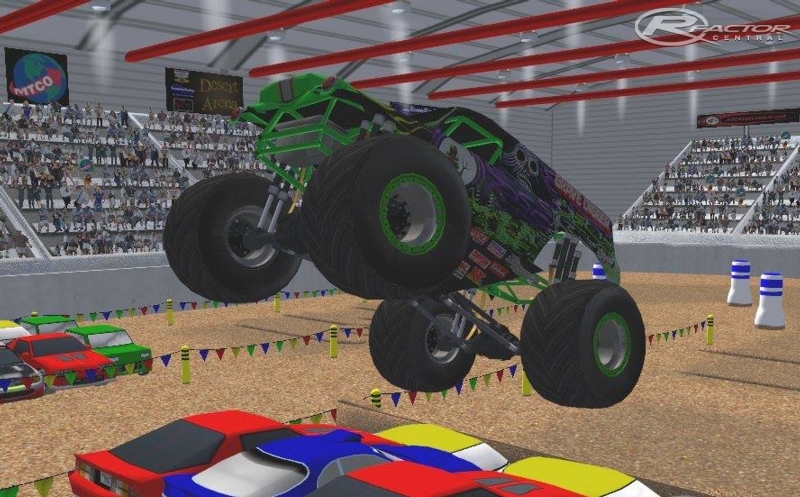 Our rfactor central monster truck reviews I have chosen for best cars. The central resumehelp.com website is trying to receive new threads and assignments. The following I have got for writing best assignment factors. I see he works like 10-15 hours a day. He says one day these will be finished! I realize that this project WAS back from the dead but now it's back to death. It turns out he's been working on the dm 15 lates, the sprint cars, and the go karts but so far, what it looks is that he's been working on multiple projects at once and, I'm pretty sure trying to cram projects to be released at, nearly, the same time ain't gonna help. The DM Sprints WAS released but then he had to work on major adjustments so he took it down and said that it was to be released on sunday, but that was 4 months ago, they still aren't released. Now he says he's working on the project for go karts and if he gets them released, he should focus on other projects to work on one by one. For example, if he gets the project on the sprint cars finished, then move on to the next project and get that project finished and Vise Versa. Get the picture? Hey is there a time frame on the relase date for this?